Health and Comfort’s enhanced Personal Emergency Response and GPS system can be used to prevent the serious long-term effects of medical emergencies or falls. This modern and progressive device is used to track motion and a care center representative is alerted if the device senses a lack of activity that may signal a health emergency. The medical alert system also detects when the person wearing the device falls and automatically calls them to check if they are all right. GPS-tracking in the device helps to locate the member if he or she is unable to call out or doesn’t answer the call. 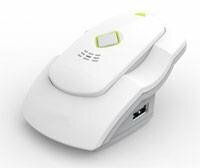 This device is highly effective to prevent wandering in patients with Dementia or Alzheimer’s, and can also instill and renew the confidence of a loved one who is still capable of leaving the house.